After landing and going through immigration and customs (why do they schedule two large planes to land at about the same time?) I got some cash. This is what it looks like on the back. 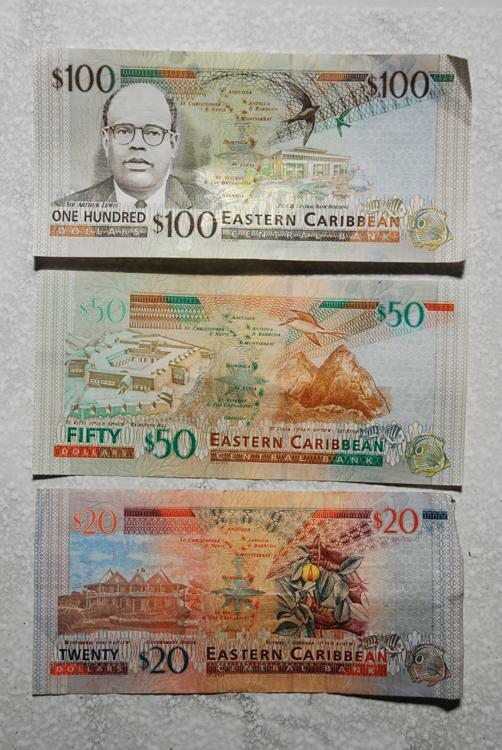 Queen Elizabeth is on the front because St. Lucia was a British colony because the British evenually won control of the island after it had changed hands many times between the British and the French.